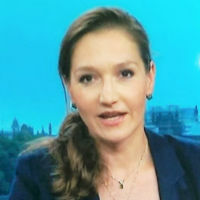 Anastasia Nesvetailova, Professor of International Politics at City University London, gave insights into the key factors behind the deteriorating Russian economy to the UK media recently. Professor Nesvetailova was interviewed by Channel 4 News, BBC World Service, Al Jazeera, CNBC and International Business Times. She also had a piece on Russian bank bailouts published on The Conversation. She explained how the Russian Central Bank employed desperate measures to shore up the rouble, which she believes are "unlikely to save the currency or the economy beyond the very short term". Speaking to the BBC, she described the economic situation as "a meltdown" and says it will be a "very grim New Year" for people throughout Russia. Professor Nesvetailova, who explained falling income from plummeting oil prices was at the heart of the problems, also reflected on President Putin's increasing isolation. She believes international sanctions have had "the unintended effect of strengthening the position of the Russian Defence Ministry and the neo-conservative clan", who she says are in a power struggle with Putin and other groups. Against a bleak background, Professor Nesvetailova suggested three possible scenarios to resolve the current crisis. "None of them is attractive, some are dangerous," she said. Professor Nesvetailova suggested Putin could be ejected from power to allow Russia to return to the western fold, The Kremlin could enter into another conflict or the country could form an alliance with China.